Executive condo in show suite condition! 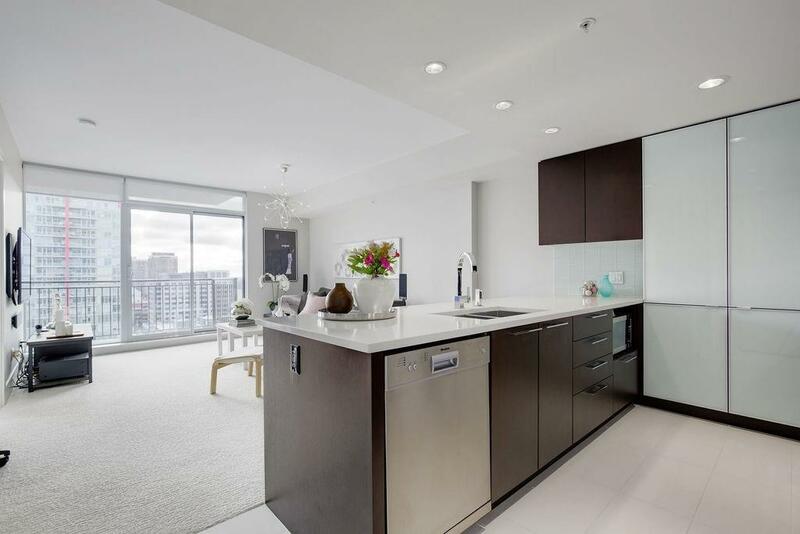 Breathtaking 180 views of downtown through the floor-to-ceiling windows that span the entire unit. 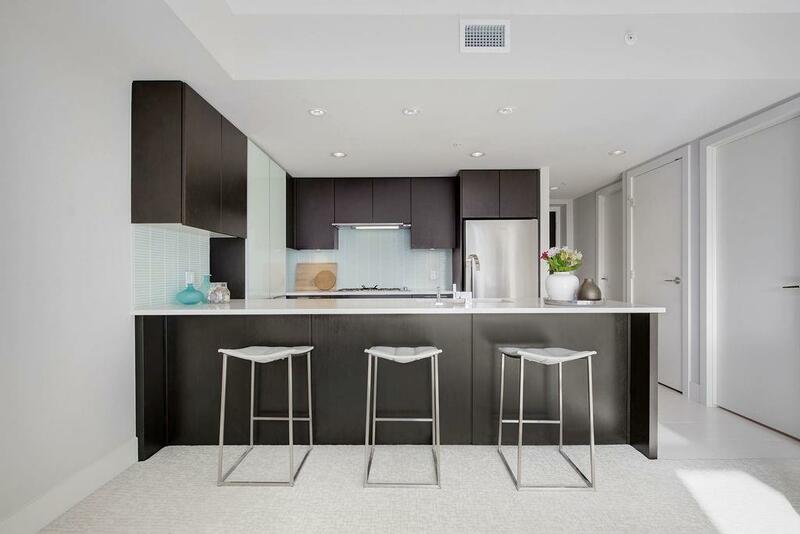 This is the largest and most sought after 1 bedroom and den floorplan. 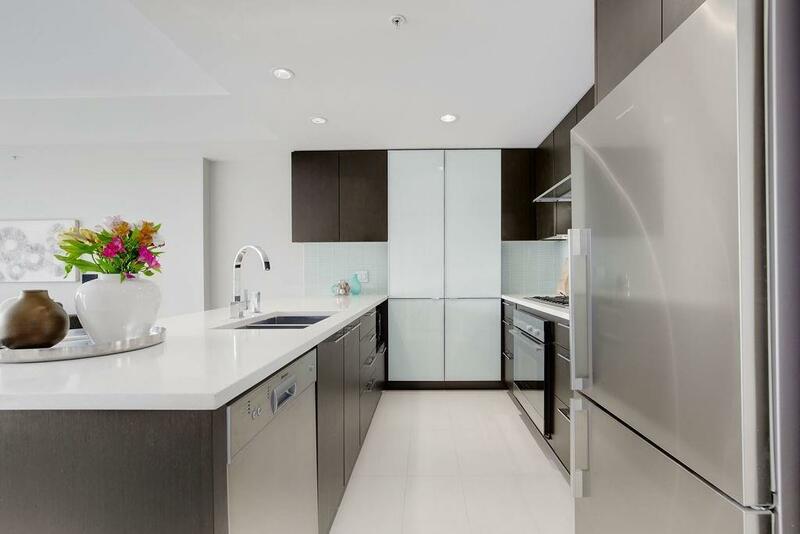 The chefs kitchen has Fisher & Paykel stainless steel appliances, a hidden pantry and plenty of quartz counter space. Providing a wonderful environment for gatherings and entertaining. Upgrades throughout. Including brand new luxury carpet, wired 5.1 surround sound, A/C, and roller blinds. The master bedroom retreat has a walk-through closet into your stunning spa-like bathroom. This bathroom has a stand-alone glass walk-in shower and separate soaker tub. Laundry is hidden in there too! There is a defined storage room for all your needs, and a built-in workspace. 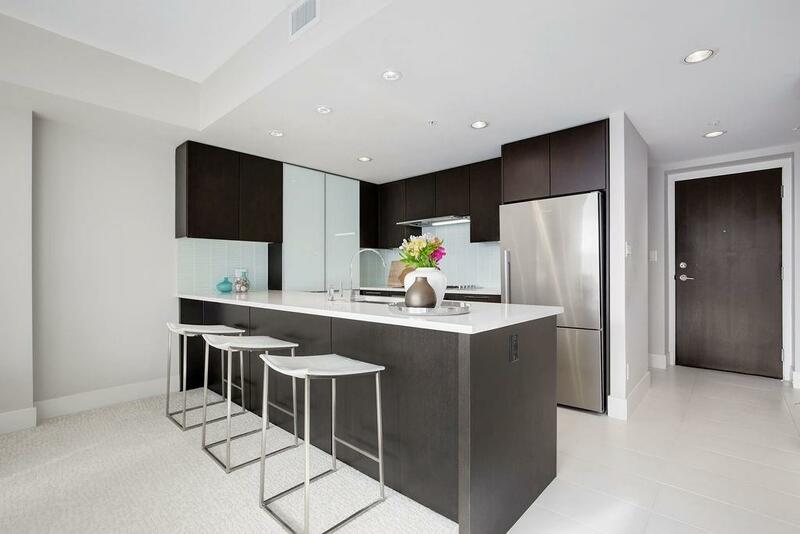 This building offers top notch amenities, including concierge service, a fitness center, lounge, guest suites, and secure underground titled parking. Urban living at its very best, only steps from everything you desire.